2014 Resolutions … or are they really goals? So it is a NEW year, 2014! As tradition most people make resolutions for the new year. 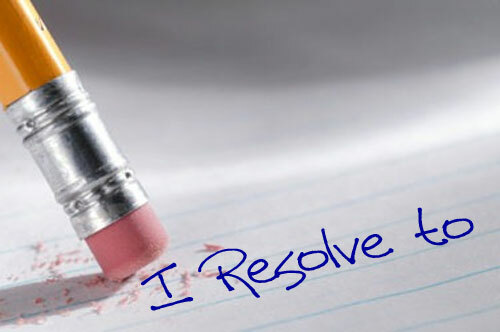 I resolve to give up resolutions! If we can’t keep them then why make them? Instead I am setting goals. Defined as – something that you are trying to do or achieve. Goals seem more focused and measurable. Instead of resolving to get in shape. A goal would be to work out 3 times per week. Goals are measurable and often don’t give individuals a sense of failure. Goals help us focus on the process of achievement not the end result. This year I am setting goals and seeing how I do. Not making resolutions that I can’t keep. 1. Writing more meaningful blogs that reflect my teaching – Over the past year I doubled my blogs output. I noticed that many of my posts are reflective but I need to add more examples from my classroom. Sharing what is working for me and what is not. This will allow others to see what I am doing and allow me to reflect on my teaching later. 2. Collaborate with other teachers – I need to make connections for my students outside of our classroom. I plan to use technology tools to allow us to reach out and collaborate with other fantastic classes around the world. I hope next year to see blog entries about lessons that reach out into other classroom. Also stories about lesson that were shared between teachers. 3. Create more exploration lessons- Students learn my exploring ideas not by just being presented them. I need to do a better job of creating lessons that give student time to explore the standards. I have been lucky enough to see Gary Abud present on Modeling Science instruction. I hope to take the time and explore it more for my students benefit. 4. Eliminate the fear of failure in my classroom- Failure is where the growth occurs. Nobody learns by being successful. When you are successful you gain a feeling of: “I got it!, I don’t need to learn more!” I feel a vital part of this goal is a move to standards based grading. My 2015 I plan on using a system of grading that helps student focus on their failures to grow. 5. Take care of myself- I often forget about my health and well being. I need to make sure I am here for my 3 children as well as every student that walks into my classroom. I can’t give them my best if I am not healthy. Exercise is my weakness. I neglect myself often to help others. I need to dedicate time to take care of my body as well as mind. (This blog helps the mind too bad I can blog for my body as well.) Been seeing the awesome #500in2014 challenge on Twitter and wish I could run, unfortunately my body can’t handle running, need to walk 500 miles in 2014. Goals are written, Now I need to check back frequently, see if I measure up and adjust as needed. Did you set 2014 resolutions/goals? Hold yourself accountable by posting them and reflecting. Don’t be stuck in the rut of forgotten or blown resolutions by mid-year. Here is to an awesome 2014!! Next Post Snow Day Fun! !